How did you get started with running track? Ever since kindergarten, I was involved in various sports, but soccer, basketball, and softball were the three main ones I played. I was a standout in these sports because I could carry the soccer ball up the field to the goal quickly, score over a dozen points in basketball just from breakaway layups, and steal numerous bases every game. I knew I had speed, so I decided to run at a few outdoor meets in seventh grade. After a successful season, I chose to run indoor the following year. At one of the first meets at the Portland Exposition Building, I fractured my hip while running the 40 yard dash. I was not able to run for the rest of middle school, and it kept me from participating in other sports for a couple months. Going into high school, I was uncertain about which winter sport to play: basketball had been my life, but I suspected I would have greater opportunities running indoor track. After contemplating for many weeks, I decided that track would be the better choice. I believe I made the right decision. You had a great freshman year indoor & outdoor a year ago. 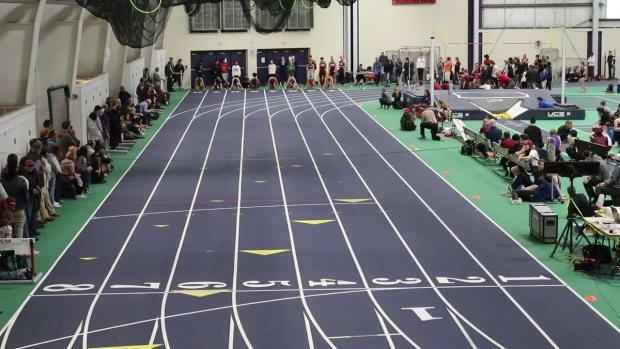 With that success did you feel pressure heading into this indoor season? Last year I used to get extremely nervous before every race in fear of running a poor time. As the year progressed, good performances enhanced my confidence. However, going into this indoor season, I did feel pressure to continue excelling. Although races are not particularly important at the first meet, I was restless. Self-assurance was brought back after running times I did not expect I could run that early in the season. Heading into championship season, I am very excited. The pressure will always be there, but I know that if I give my best effort I will execute a good race. 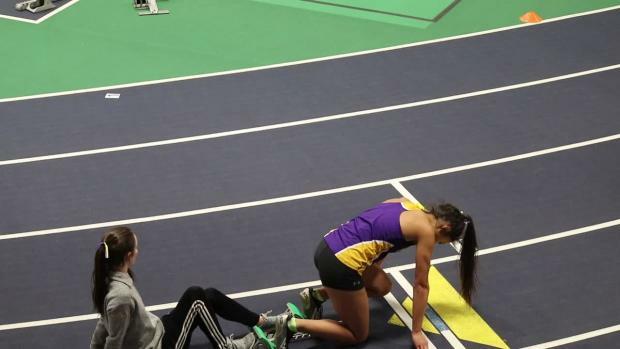 You had a coaching change at Cheverus this year, how is the transition going? Track has continued to be productive and enjoyable. Although the two have different styles of coaching, both have been very effective. 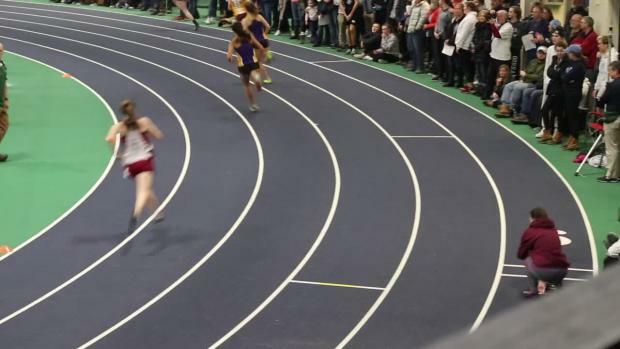 At the Dartmouth Relays you won the 300m setting a new state all-time in the event. Going into the race did you think you were in shape to break the record? Also what did you learn about the race running it last year? Last year I only ran the 300m twice. 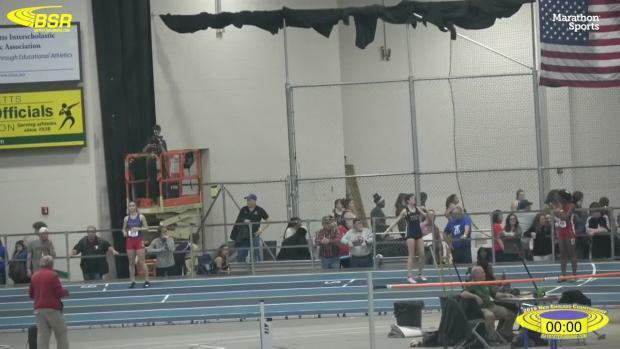 I ran 42.04 to finish third at Dartmouth Relays and then 41.36 at New Englands. Both races, I went out too slow, pacing it like a 400m although I should have run it more aggressively like a 200m. 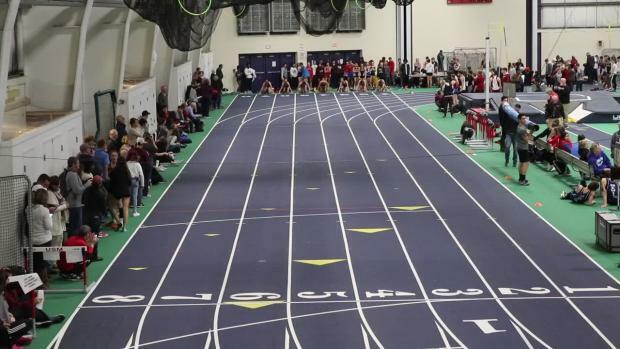 Going into the 300m at Dartmouth Relays 2019, I had no idea what the state record was. My goal was solely to run in the low 40s, and I knew I was in shape to do so. I went out hard but evidently not as hard as I could have. At the last straightaway, I still had a sizable amount of energy left. Nonetheless, I ended up running a good time (40.16), and it wasn't until after the meet had finished that I was told I set the state record. I do not favor any track workout in particular. Generally, I prefer brief, intense workouts as opposed to ones that are reasonably tough and prolonged. At the next few meets, my goal is to qualify for Emerging Elite Nationals in the 400m, and if I choose to run it at the Armory, I am aiming for low 56s or high 55s. I also hope to place in the 300m at New Englands. 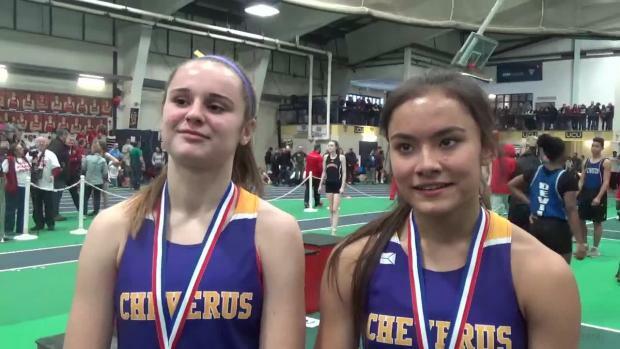 The Cheverus team won indoor and outdoor titles a year ago and looks primed to win again indoors. What has the team success meant to your individual performances? 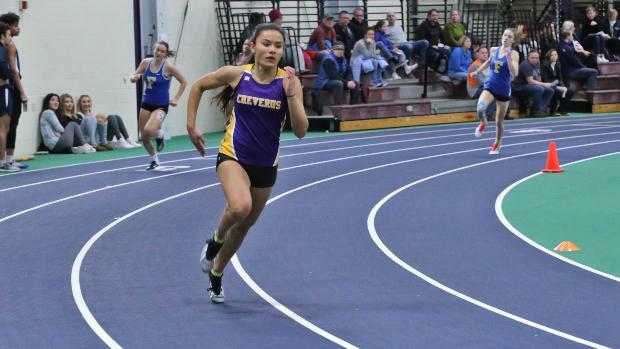 Even before I came to Cheverus, the girls' track team dominated. Some of the athletes are still on the team, and I have looked up to these girls throughout the past two years. Their exemplary worth ethic, words of encouragement, and team spirit have not only shaped me into the athlete I am today, but they also play a significant role in our team's success. I am really fortunate to be part of such an incredible team and am excited to continue our journey.